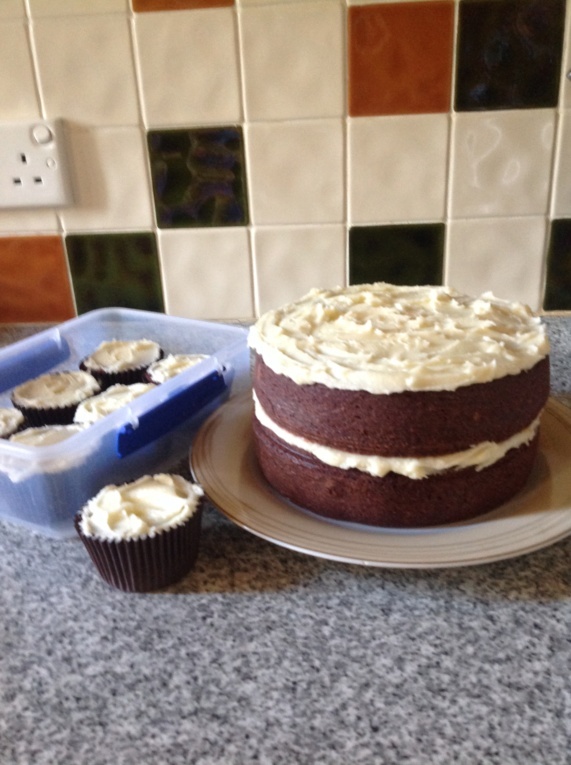 Here's the finished Red Velvet cake plus some little ones. It is slightly redder than first attempt but still nowhere near as bright as the shop ones. Mix rises well, and it's very moist. Tastes very nice!! Ooh, looks gorgeous, Di! Could fancy a bit of that with my afternoon cuppa - pity we can't beam things up! Mmm, love red velvet cake. That does look very Yummy.